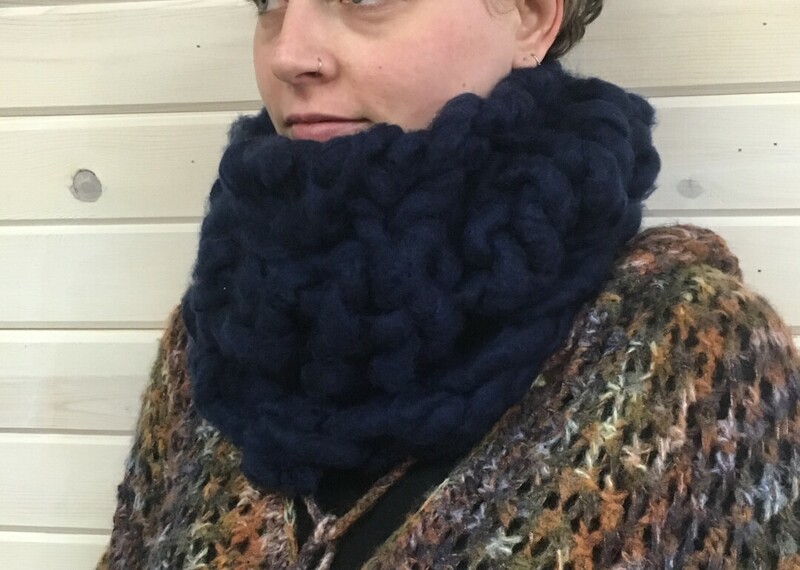 Learn to use just your fingers to create this chunky cowl. Use a super soft mega chunky yarn to make a cozy winter accessory you will love. This technique can be used to make other large knit projects such as throws and blankets. All materials included. You will choose from a variety of colors.